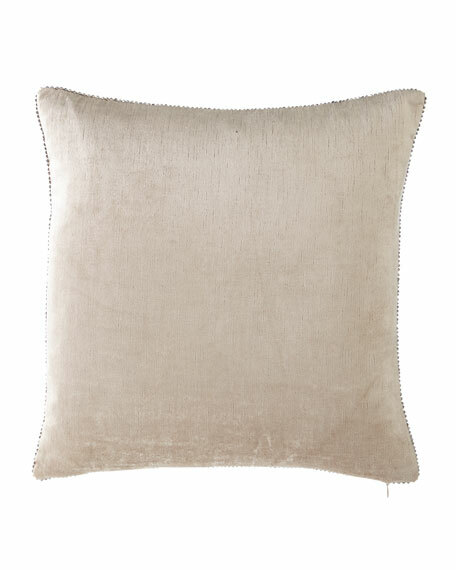 Antique metallic details on a soft luxurious velvet are a perfect complement to any décor. The intricate organic stitching means no two pieces are ever exactly alike. Velvet pillow with beaded edge. Front and back, cotton/viscose; lining, cotton.